Another photo of Mount Gould and Swiftcurrent Lake taken during our hike on the Swiftcurrent Nature Trail on the last full day we spent in Glacier. Needless to say, we were treated to spectacular views of the lake and the mountains that surround it. 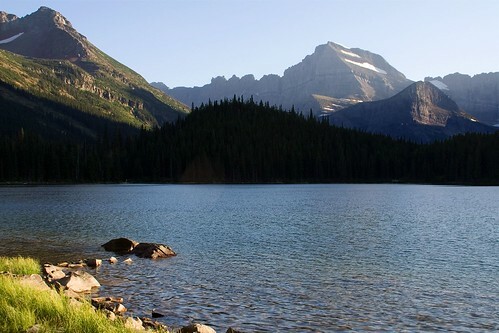 This entry was posted on October 10, 2008 at 7:15 am and filed under Glacier, Glacier National Park, hike, lake, Many Glacier, Montana, Mount Gould, mountain, National Park, sunset, Swiftcurrent Lake, Swiftcurrent Nature Trail, trail, vacation, water.